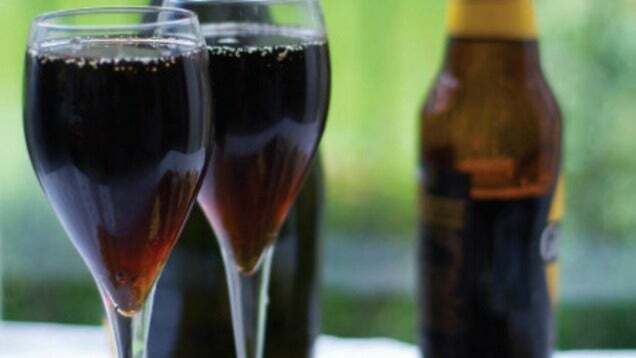 The mixture of two parts Champagne to one part stout is called a "Black Velvet" and it is a delicious, creamy and effervescent treat. Not only is it a great way for stout lovers to enjoy a festive cocktail, it's also one of the easiest Champagne cocktails you'll ever make. Just pour Guinness on top of your bubbly beverage of choice. The stout is heavier than its sparkly counterpart, so the mixing takes care of itself. If this cocktail doesn't sound like quite your bag, check out the link below; Epicurious has a lovely collection of sparkly cocktails that are perfect for the holidays.